This is a PDF pattern only and not the actual pillow. The Pattern comes with high quality pictures to help you learn step by step how to do this stitch as well as how to smock it. 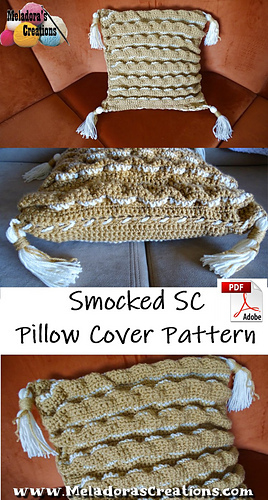 Smocking creates a thicker, softer more cushion like fabric. This is a pillow cover and can be removed and washed when desired.